In these busy and rough days, having a relaxation time always seems like a good idea. Soaking your body in the hot water while enjoying the beautiful sky is really undeniable. You can feel your body being relaxed as the hot water restoring your body and soul. 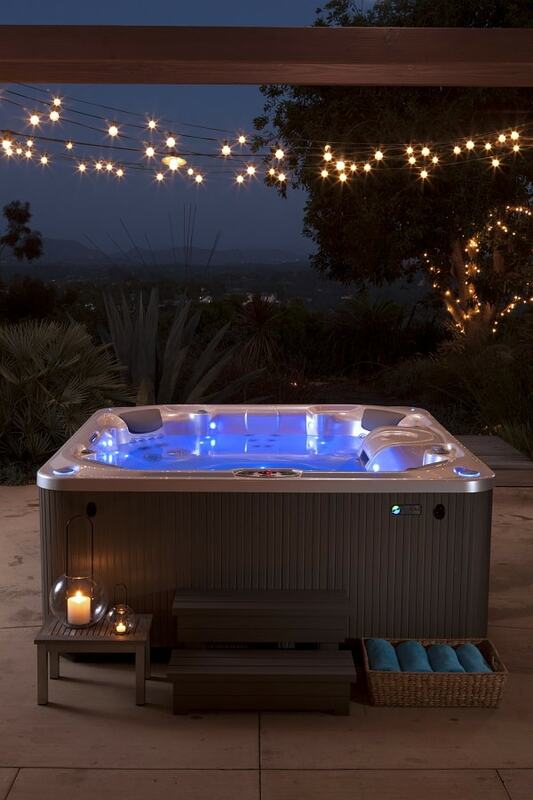 A hot tub is the best place to get that heavenly moment. The hot water combined with therapeutic jets give you the joyful hydrotherapy time after dealing with a bunch of deadlines. So owning a hot tub and place it in your backyard or even inside your house will help you to improve your health, inside and outside. People have adored hot tub since hundred years ago, and the popularity never disappears. In this modern days, acrylic or plastic hot tub seems to dominate the market, numbers of brands offer the acrylic hot tub with various designs and features. Back in the days, when the acrylic spa is just still a plan, the wood hot tub is adored, but this more classical kind of hot tub is still idolized by some people today. 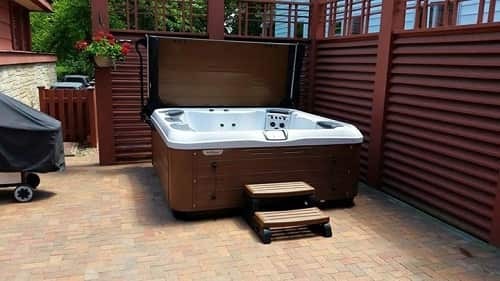 You can find some manufacturers which sell the wood hot tub assembly, or you can just build your DIY wood hot tub at your home. So, which one is the best? 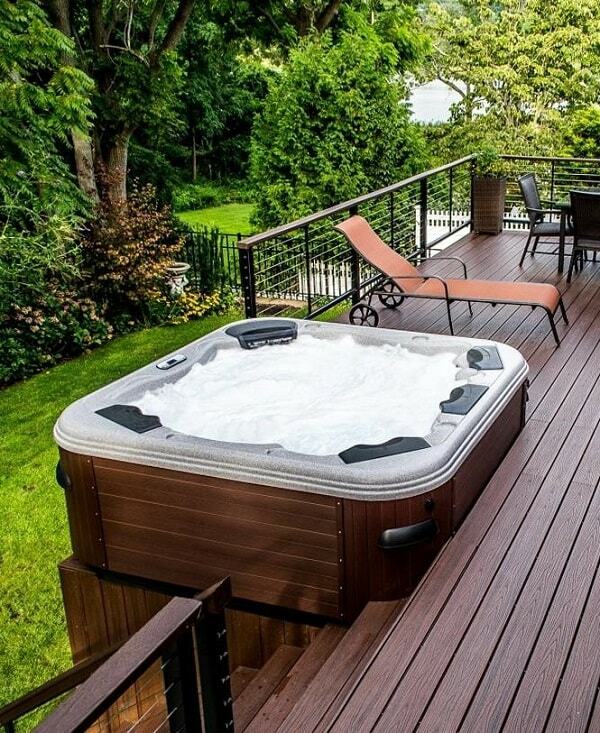 The wood or plastic hot tub? Let’s find about them more! It actually depends on your desire, if you prefer the more classic and natural spa design, choose wood hot tub. Smelling the natural odor of wood makes the therapy moment becomes more joyful. However, the common wood hot tub doesn’t come with sophisticated design as the acrylic one. The fancy lighting, waterfall, cool control panel, lounger seats are features that you can only get in a plastic hot tub. 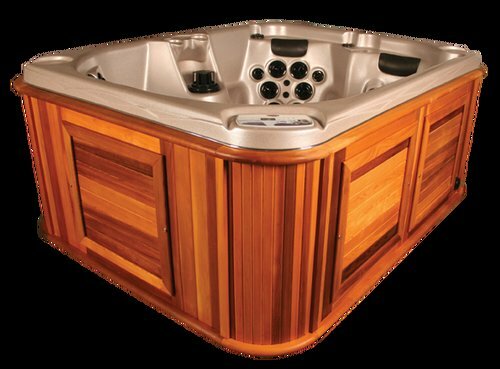 All you can get from a wood hot tub’s design is the natural appearance and its earthly sensation. On the other side acrylic spa’s shell is mostly combined with natural or synthetic wood cabinet. The appearance still looks as natural as it can be, to match with the natural surrounding in your backyard. But, you won’t get that unbeatable natural scent of cedar wood. Of course, a wood hot tub doesn’t come with jets, so all you get is the comfort of wood-scented hot water. Modern spas come with numbers of jets, which can massage your stiff muscle powerfully. They really offer the optimum therapeutic sensation, but obviously at a higher price. For energy efficiency, a wood hot tub is poor of this feature. The thickness of the woods determine how well the tub can keep the heat, but it will not work as well as the insulated acrylic spas. 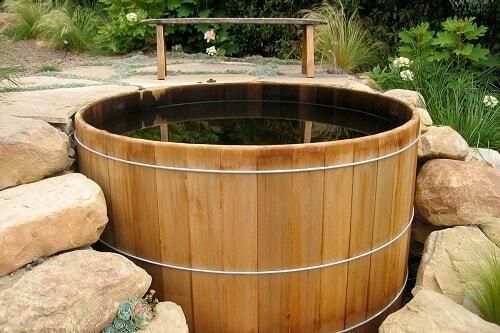 Wood is wood, no matter how well a wood hot tub is maintained, it will develop wood decay. Though it can be repaired, but a wood hot tub may last for 30 years of usage. The acrylic spas are obviously more durable and well-built. You may experience chips, fades, or scratches, but not for structural damage. Even, a cheap roto-molded spa, which is indestructible. Plastic hot tub is a lifetime asset for your relaxation, you can rebuild it forever. The wood hot tub obviously needs more maintenance which it needs to be stained and sealed frequently. Acrylic spas are much better to maintain, they mostly equipped with some sophisticated features in their instructions which make you easier to maintain them. A wood hut tub kit is generally offered from about $1,500 to $4,500, and you can get the cheapest acrylic hot tub at maybe about $3,000 which can fit for 3 people. The acrylic spa’s price is determined by the size, construction, and design. So, acrylic spa seems like the best choice for general use. 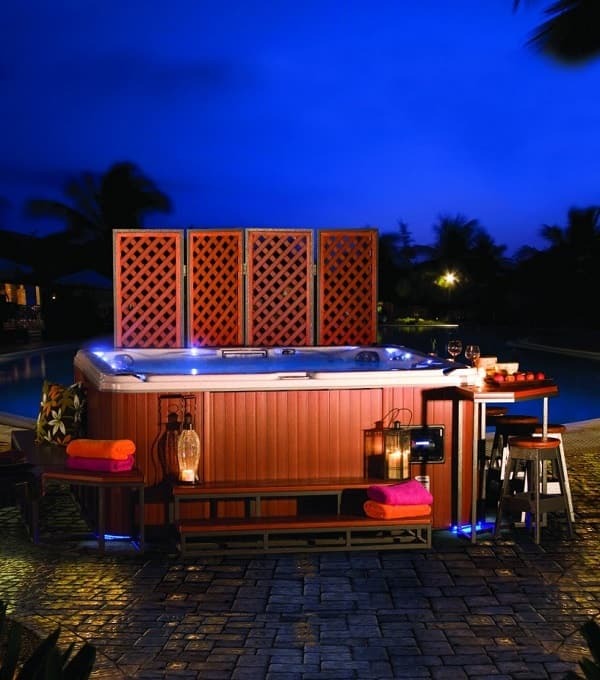 You will own a spa with stunning design, great spa performance with great durability. 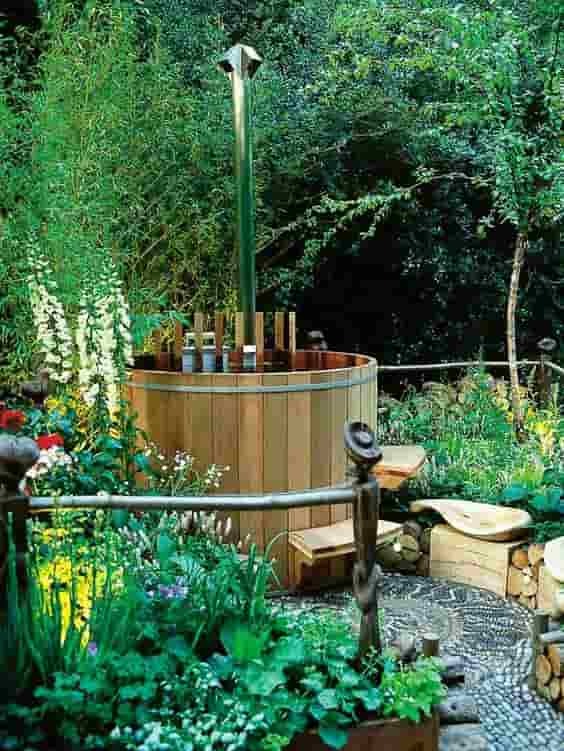 Perhaps, a wood hot tub is more suitable good for those who have a certain lifestyle, like they want to put a more natural addition to their backyard. 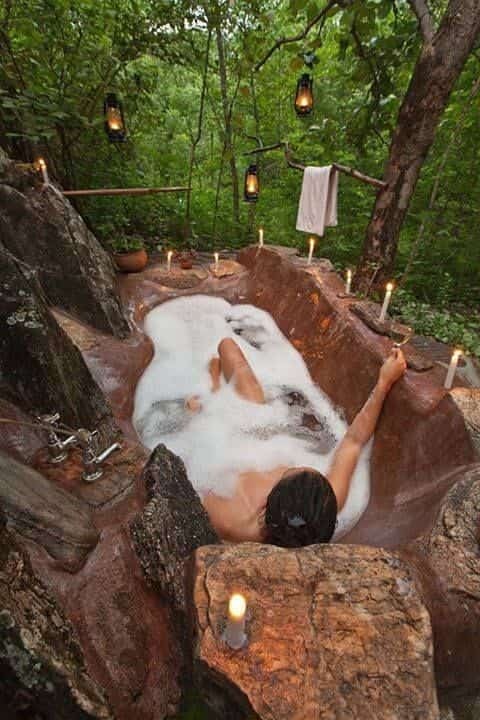 A wood hot tub gives such a special sensation that you won’t get in plastic one. 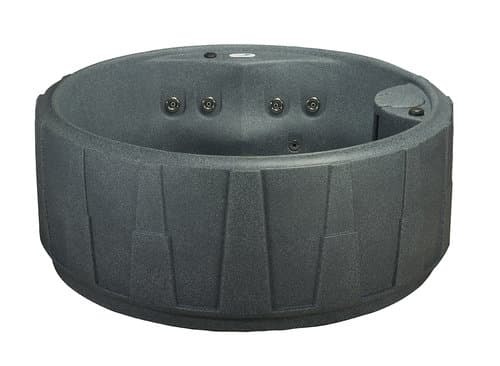 If you are about to purchase a hot tub for the very first time and feel confused what to choose between wood or plastic hot tub, just choose the conventional plastic spas. 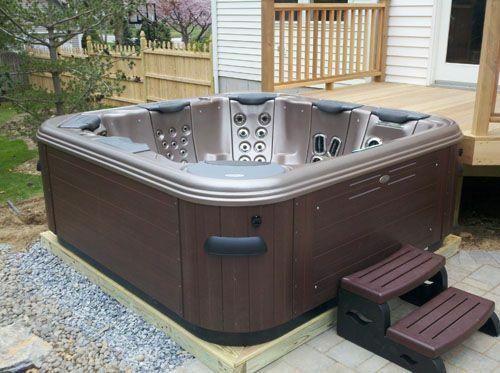 By spending a little bit more money, you will have a more reliable hot tub to give you the better spa experience than a wood hot tub.